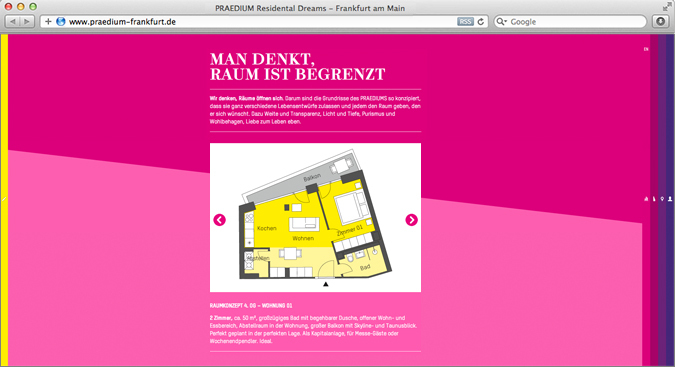 PRAEDIUM – a 66 metres high residential tower in Frankfurt’s new Europaviertel with exclusive condominiums. The new building represents modern European urban development at its best: Impressive quality of construction, modern energy standards and innovative technologies. 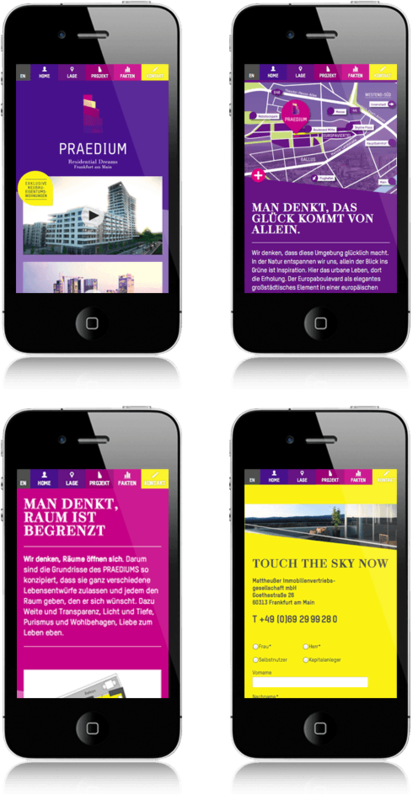 The project was implemented in collaboration with Nordisk Büro, an owner-managed creative agency founded in 1996. „If you can dream it, you can do it“. Committed to this credo of Walt Disney Praedium is building a luxurious residential property with a dreamlike quality in Frankfurt’s sophisticated Europaviertel. 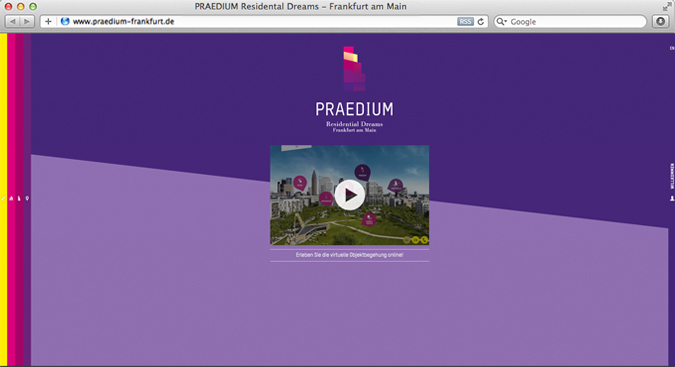 The internet presence is a small luxury as well: Together with its partner agency NDB+ ARTUS interactive developed a website with fantastic possibilities for virtual inspections of the Preadium apartments. The uniqueness of this building is reflected in the website’s design with vertical slider navigation.